For the last few weeks I have been in creative hibernation mode. I didn’t blog. I was hardly on social media. Some of you may have wondered what I have been up to – and for those of you who care, I’m about to share. Every so often my creative muse strikes me exceptionally hard and I’m compelled to listen to its call. I was recently given an opportunity to direct a musical here in Portland, Oregon. We’re doing Seussical, which I love. On top of that, I recently premiered my one-man show, Mormon Redneck Thespian. It received a couple of good reviews, and mostly sold out, which I’m thrilled about. So, you see, things are going rather well for me from a creative perspective. But why should you care? Good question. Let me tell you. The Gurus and Experts will all tell you that you should blog regularly. You should email often. You should even Tweet daily and Facebook all of the time. But sometimes, that’s just not true. Sometimes the best thing to say is nothing at all. There is all sorts of interesting research that shows that creativity sometimes needs room to breathe. It needs silence and a dark place to ruminate. Sometimes the collector or the audience just doesn’t get to see the finished product until it’s actually done – and it’s better that way. When I was in college I learned that Greek priests used to come on stage before a play and bless the stage, invoking the Gods’ blessing. The Greeks believed (or, at least Plato did) that there was an invisible form that corresponded to the physical; that priests and artists had the ability to make that invisible form manifest. This ability to make the invisible manifest is what I think of as creativity in its purest form. What some people see as an act of conjuration is simply the artist having the ability to see the invisible object or hear the silent word. If an artist is constantly distracted and annoyed by social media, or email, or the need to answer phone calls, what happens? Many artists continue to function on a superficial level. They create things because their technique is good. They have a style. They’re working on a series. It’s become rote and easy. If you have that thing inside of you, perhaps you need to take the time to unplug, power down, and go off grid for a while. Perhaps your creative energy needs to go away from blog posts and tweets, and into making the unseen seen. Someone is probably waiting to see what you create – wouldn’t it be a shame to never bring it out? Sometimes I am amazed at the number of artists who read this blog. I don’t consider myself the world’s foremost authority. I know a few things about art and internet marketing, but a number of artists seem to think that what I write here is valuable, and I’m grateful for that. It’s a gratifying experience, and I’m truly humbled by the artists who write me and thank me for the help. It’s fun see artists start to make a real living from their art. Sometimes I think – hey, don’t listen to me. You know some pretty amazing stuff about your own art, about the people who buy your art, and how to communicate your story. Go listen to yourself! I think the artists who listen to what I, or any of the gurus, say and then go create their own way forward are the ones who seem to succeed the most. 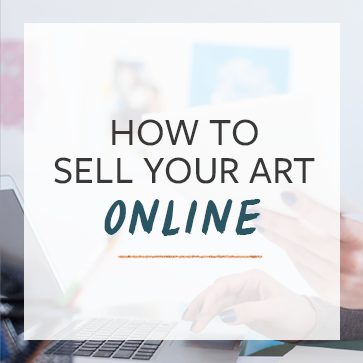 You can learn about websites and about how to sell art online here – but I hope that if you do learn something at The Abundant Artist, I hope you learn that art is your unique selling point, your creativity is your unfair advantage, and that you have the ability to make your passion into something that is more than just a humdrum existence. You can be successful, powerful, daring, and dangerous. You can be an artist that people RAVE about. You can be an artist that people emulate. But it starts with believing that you have within you the ability to succeed. Once you have that, all of the other stuff falls into place. So, gratefully, I have my show. It’s one of those pieces that’s been a long time coming. I’m really excited about it. I’ll share more of it in the near future when I get the recording back. So, in the mean time, what is your muse calling you to do? What is the thing that keeps pressing on you? How are you going to make it happen? This is a really awesome blog post, Cory. I have followed your blog for a while now and I must say I think this is one of the best things you have written in a while. Your posts are normally excellent, of course…but this one feels like it is really from your heart. Yes! Thank you for this post! I get very frustrated with myself sometimes when I just “don’t feel like it” and I KNOW I should be working, creating something. However sometimes it just isn’t there… and as you stated in your blog, I will sometimes find myself making things just because I should. The difference is when you have the muse and the creativity is flowing- it is seemingly effortless and very exciting, and comes through in your work. Allowing yourself to have the down time without beating yourself up, seems crucial. Art cannot be a forced piece of work. Thank you so much for the reminder to be gentle and “know” the muse will come and it will be awesome! @lauraguptilljewelry frustration can sometimes be a great artistic tool – but only if you let it push you higher. Using to flagellate yourself serves no one. I’m not always gentle with myself, but sometimes you have to be! Marvelous writing and responses everyone. I was very sick for 2 months at the beginning of this year. During that time, I realized that I had been doing all these things that I read and learned you were ‘supposed’ to do according to the ‘experts’ (or is it extroverts?). Blog posts, web site, social media. And, the money was still not flowing. When it came to all the stuff the ‘experts’ told me to do, the answer was an immediate ‘no’. I mostly stopped doing it all, and now only do it when I REALLY feel like it. I am now much jollier, and the money is flowing better too. I am far happier with what is coming from me creatively too. I allow myself to move into the flow of whatever I want to do from one moment to the next. based on what feels really good and right to you, because no one knows you better than you. say they know better than you, but still possible. Thank You all for having the courage to be who you are. @Christine Marsh Glad to hear you’re feeling better Christine! Forgot to say earlier…. It is interesting that you have the video of Susan. I have been reading her book and liking it. I don’t know how many statistics I have read about how you have to stop being an introvert, that extroverts are more likely to succeed. Finding a fair amount of information that suggests that extroverts are simply better in general. It is great that she is speaking for the quiet meditative ones and reminding them how important they are. Ah, Cory, what a great role model you are! Dang it’s hard not to get sucked into all the noise, but unless we unplug, when do we actually do our art?In the creativity class I’m co-teaching with my partner, Kelly, just today we were talking about the concept of going on a “media fast,” which Julia Cameron uses as an assignment in her ground-breaking book The Artist’s Way. Is it easy? No, but neither is making art! And thank goodness YOU went “into hibernation,” otherwise your amazing work would never have come into the world! Do the work. Do the work. Do the work. Yes, it’s also important to learn to market the work and get it out into the world, but unless you do it first, everything else is worth a hill of beans.Kudos, Cory, for getting your work out into the world, and for sharing your thoughts here. I’m so honored to be partnering with you in ArtEmpowers.Me. @MelissaDinwiddie Thanks Melissa! The feeling is mutual! Rather than calling this “hiding away”, you could just call it “silence” or “being” or “creating.” Perhaps there is a new and expanding critical mass of artists feeling this discomfort, and a need to withdraw from the new world of internet marketing and some of its attendant dangers to the artist’s soul. Melissa’s comment below about the “media fast” echoes Summmer Pierre and others, including me. I wrote a blog on this a couple of weeks ago and it felt very hard to say. In fact, I unpublished it and rewrote it.. Here’s to the real creation and dissemnation of art, in any and all authentic forms. Cory, congratulations on the success of your work, and thanks for mentoring all of us. If you want to read my take on this issue, see http://saltworkstudio.wordpress.com/2012/04/05/art-vs-marketing-five-ideas-to-consider/. That’s just it. You have to continually test and find out what works for you and your audience. Well I need to listen to someone because as an artist I am just soaking it all in and gleaning all that I can get. Each little tidbit only makes me better. Thank you because once again I know that I can do it. So off I am to listen to myself and create something beautiful…..